October has a national campaign called “Family Health Month“. This campaign ties right into a goal of staying healthier by encouraging us all to take a closer look at our health. While it should not take a national campaign to encourage us to become healthier, “Family Health Month” encourages people to take a closer look at their families’ eating habits, physical fitness, stress and mental health. Also the campaign focus is on alerting families to be aware of, and monitor, tobacco and alcohol use, as well becoming more aware of possible hazards in the home. Studies have shown that many of the major causes of illness and death – cancer, heart disease, stroke, lung disease and injury–can be prevented by things we do. 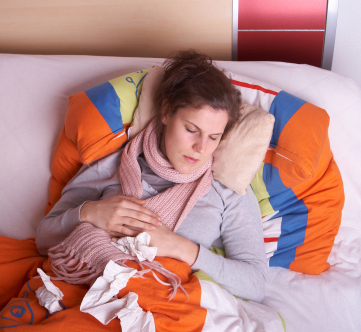 Fall brings cooler weather with cold and flu season right around the corner. Keeping our immune systems strong to help us remain healthy during the coming winter months ahead is a good goal. “Family Health Month” encourages family communication along with increased public awareness of family health histories and issues. If one is aware and knows their family health history and risk factors, they can often help themselves stay well with preventive health care. Don’t let family health get lost in the chaos of everyday life—make a commitment to communicate with each other and the medical professional of your choice and be healthy and well! Consider making an appointment with us at Acupuncture Alternatives for a “seasonal tune-up”. Let us help you stay healthy. Call us at 480-671-5178.